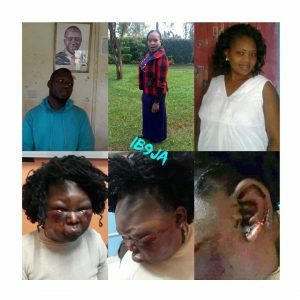 A man identified as Naftali Luzuli, has been arrested by the Kenyan police for allegedly beating his wife, Valerie, in Eldoret. Luzuli had given Valerie, KSh 500 to purchase foodstuff. However, a furious Naftali roughed the victim up when he returned home to no meal. . The husband is currently at the police custody while the wife is recuperating at the Moi Teaching and Referral Hospital.